Friedhelm Loh Group employees, and CEO Friedhelm Loh himself, have donated some 130,000 euros for victims of the floods in south-east Europe. The funds will be used to repair the damage and relieve the suffering caused by torrential rain in Serbia, and Bosnia and Herzegovina in May. The money will be divided between six international aid organisations. In response to the devastation caused by the floods in south-east Europe, the Friedhelm Loh Group launched an initiative to collect donations. A total of some 130,000 euros was raised, and given to aid organisations Caritas International, the German Red Cross, Diakonie Katastrophenhilfe, Help – Hilfe zur Selbsthilfe, Humedica and World Vision. The money will fund the distribution of food, drinking water, the deployment of water pumps and drying equipment, and other aids and resources. “On behalf of the recipients, I’d like to thank the staff for their generous donations. It’s encouraging to see, and it again clearly demonstrates that we’re an organisation willing to act as a community, and not only to assume responsibility for ourselves, but also for others,” stated CEO Friedhelm Loh. 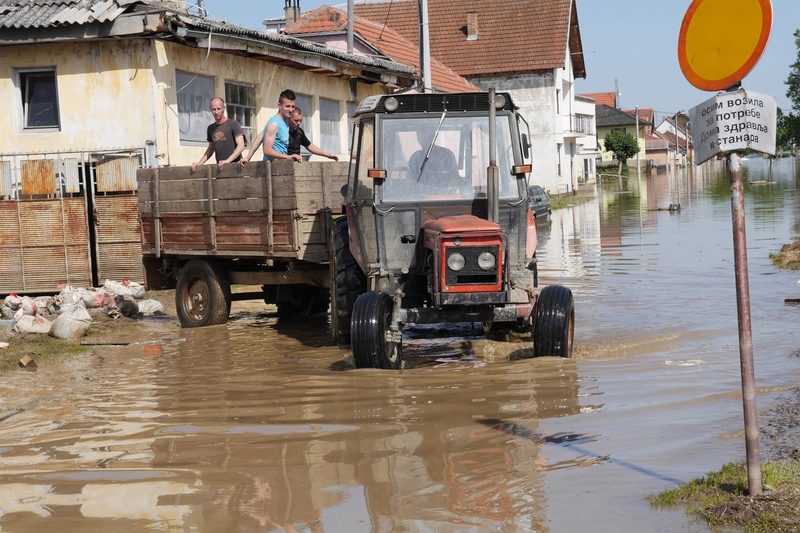 Torrential downpours in the Balkans this May led to the worst flooding since records began. Large swathes of south-east Europe were under water. Whole cities and villages were cut off from the outside world and many people were forced to abandon their homes. The Balkan floods impacted a total of 1.3 million people. Thousands were evacuated, and 50 lost their lives. The scale of the damage only became apparent once the floodwaters had receded. In many regions, the ground has been contaminated by toxins, vehicle fuel and sewage. The cost of the damage has been tentatively put at more than a billion euros in Serbia and hundreds of millions in Bosnia-Herzegovina. In Croatia, the cost to the agricultural industry alone is thought to exceed 30 million euros. Many people have not only lost their homes, but also their livestock, and as result, their livelihoods. Diakonie Katastrophenhilfe is focusing its efforts in Serbia on the areas affected by floods in the centre and west of the country. In Bosnia-Herzegovina, aid is concentrated on the north. The very first action taken by Diakonie Katastrophenhilfe was to ship 280 dryers to disaster areas for distribution to local partners who employ them to make buildings habitable. Currently, a further shipment of more than 200 dryers is on its way to Serbia, where it is expected to arrive in mid-August. The local population is also being provided with food, hygiene packages and water pumps. Other aid agencies also remain active in the region, helping the victims to rebuild their lives. They provide psychological counselling, legal advice, and assist with reconstruction work. The donations received from Germany play a key role in making this support possible. 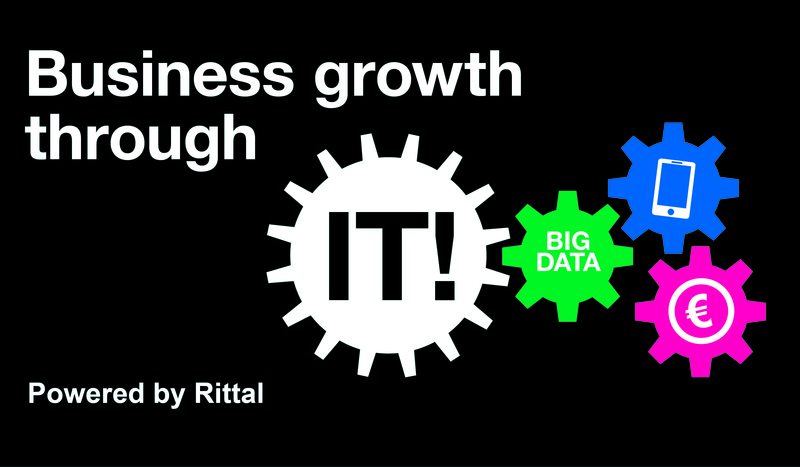 In a recent White Paper sponsored by Rittal, provider of IT infrastructure solutions, international market research company IDC examined the influence that data centres have on the economic success of small and medium-sized businesses. The results show that IT infrastructure and especially having one’s own data centre are perceived as essential in permanently securing competitiveness and expansion. The White Paper also shows that companies want to take advantage of new technologies such as cloud, Big Data and mobile computing in order to develop new revenue opportunities. The results are based on an IDC survey of around 500 managers and IT heads in medium-sized companies in Germany, the United Kingdom, Sweden, the Netherlands and Italy. If a company was commercially successful last year, this has a direct impact on the IT budget. As many as 98% of organizations with increasing sales reported that they would enlarge their investment in IT, or at least keep it at the same level. Furthermore, the survey showed that economically successful companies invest an average 20% more in their IT than businesses with flat sales figures. No fewer than 93% of the IT managers questioned found it important or very important for a company to have its own data centre. Of those companies surveyed that registered a growth in sales last year, 97% operated their own data centre. Companies have some catching up to do, particularly when it comes to energy efficiency: 57% of respondents report PUE (power usage effectiveness) values exceeding 2.0. For every kilowatt-hour of electricity consumed by the IT equipment, roughly the same amount again is consumed by cooling and further building and plant technology. The PUE represents the energy consumed in the data centre in relation to the energy consumption of the computer: The closer the PUE value gets to one, the more efficient the data centre is. In industrial applications, a PUE value of 1.4 is regarded as excellent while large IT service provider with optimized systems reach values of 1.2 or less. The IT managers surveyed indicated that they operate their data centres at an average of temperature of 15.5°C. According to IDC, there are enormous savings potentials in this area. Instead of cooling entire rooms, it is more efficient to work with direct cooling within the rack or in the individual aisles. As a result, a higher overall temperature is allowed in the room, reducing the costs of cooling. Existing redundancy concepts are often out-of-date and not sufficiently reliable to ensure the high level of availability that customers expect in today’s competitive market environment. 24% percent of the IT administrators questioned cited redundant infrastructure as the key area in need of modernising. Overall, only 46% of IT experts assess the viability of their own IT as very high. Nevertheless, the majority (79%) of IT decision-makers believe that none of the demands is insurmountable. The participants surveyed reported that their data centres were an average of 6.9 years old. With this age it is already difficult to use modern IT equipment as they have a higher energy density and must be highly available. For example, the energy efficiency of IT components and the cooling concepts for racks and server rooms have evolved considerably in recent years. This creates demand for IT modernisation. IT systems need to evolve continuously so that a company’s own data centre will also be able to meet such business needs as greater agility and cost efficiency in future. Six out of ten companies would like to meet the new market requirements with public or hybrid cloud capacity, but they shy away from the risks. This means, for example, a greater focus on in-house data centres, which are operated by the company itself and offer private cloud solutions. More than 75% of managers expect a modified IT strategy, either due to mobile computing or as a result of Big Data. This research has shown that IT is an important factor in achieving business goals. This means that many companies are willing to invest in technologies such as cloud, Big Data, or mobile computing. The key to success is having one’s own data centre, as aspects such as reliability and availability have a high priority”, says Dirk Miller, Rittal’s Executive Vice President, Marketing. The concept of a modular data centre helps companies achieve greater agility and scalability. This permits shorter product life cycles, as well as the more rapid commissioning of new systems or implementation of new regulations. Even if these concepts are still relatively new on the market, awareness of them is growing. According to IDC, this market segment has recorded double-digit growth in recent years. In EMEA, investments worth hundreds of millions amounts have been made. “Modular data centres are a rational way of meeting current business challenges. The preconfigured modules or containers tend to be more cost effective than newly built conventional data centres, and they can be set up within a few weeks”, explains Chris Ingle, Vice President, IDC. Human-machine interfaces play a key role when choosing manufacturing equipment. Potential purchasers not only consider the quality of the machine and the products it manufactures, but user-friendliness and a robust, well-designed operator control system, often influence decision-making just as much. Engineering specialist Laempe & Mössner produce several lines of core shooters and equips its’ core shooting machines with Rittal’s support arm and housing systems. A programmable logic controller manages all processes within the system and the human-machine interface comprises a panel PC with a touch screen. This enables the user to operate the equipment and to monitor current status. In addition to the panel PC, a number of other elements, such as an emergency off switch, signal pillars, valves and a pressure indicator, are required. 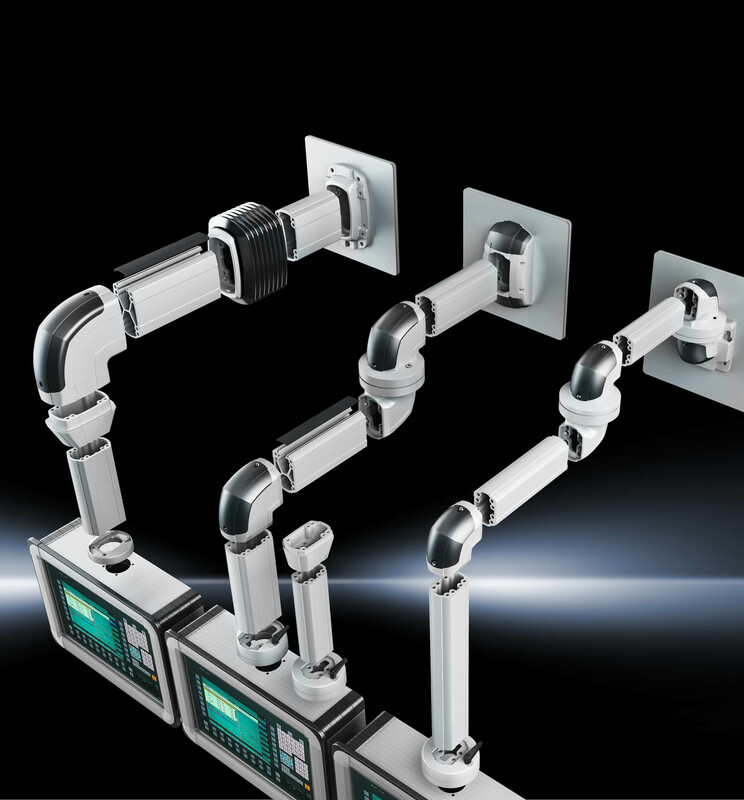 All these components are contained in compact housings from Rittal’s Comfort Panel range. Each housing is divided into three sections with the panel PC mounted in the centre, whilst the lower third accommodates the switches, signal pillars and other control and display elements. The top part contains pressure and vacuum indicators, plus valves to control the pneumatic and vacuum systems. This logical arrangement, coupled with a spacious housing layout, enables a significant degree of standardisation. To mount the housing securely on the machine, a solution is based on Rittal’s CP 120 support arm system. The strength of the support arm system, a very robust and reliable product, was pivotal in choosing Rittal’s solution as this has been an area where problems have occurred with previous vendors’ products in the past. While the Curiosity rover continues to interrogate Gale Crater on Mars, planning is well under way for its successor—another rover that is currently referred to as Mars 2020. The new robotic explorer, scheduled to launch in 2020, will use much of the same technology (even some of the spare parts Curiosity left behind on Earth) to get to the Red Planet……..
– Looking forward to 2020 . . . on Mars. 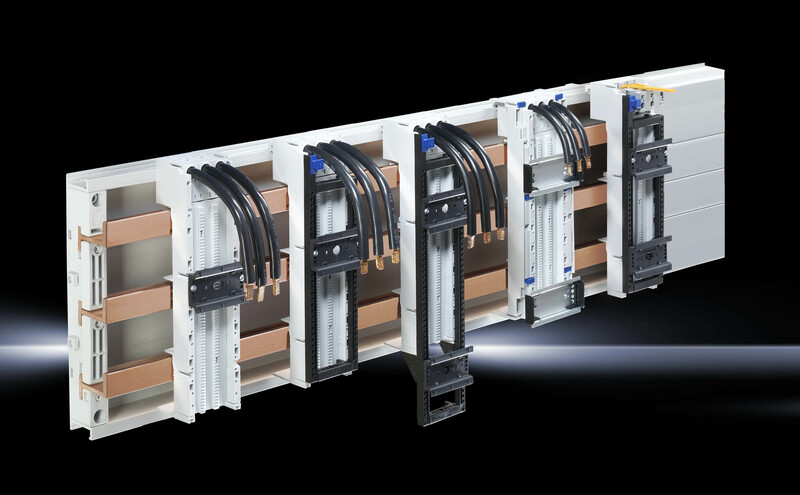 Rittal’s RiLine60, a fully shielded flexible busbar system with a wide range of busbar adaptors, has been extended to include a new OM adaptor ideally suited for the control panel manufacturer. Combining contemporary design and outstanding safety technology, with easy design and speedy installation, RiLine60 offers a safe method of distributing power within cabinets. A cost effective solution for power distribution, the new OM adaptor with extended connecting cables is designed for control gear components with tension spring clamp terminals. The connection leads are 165mm (previously 130mm) enabling easier connecting and work with products such as: Allen-Bradley 140M-RC2E, Eaton PKZM0, Siemens S00 and Schneider Electric GV2. Available are four configurations; long and short support frames, adaptor ratings of 16A and 32A and an adaptor width of 45mm.